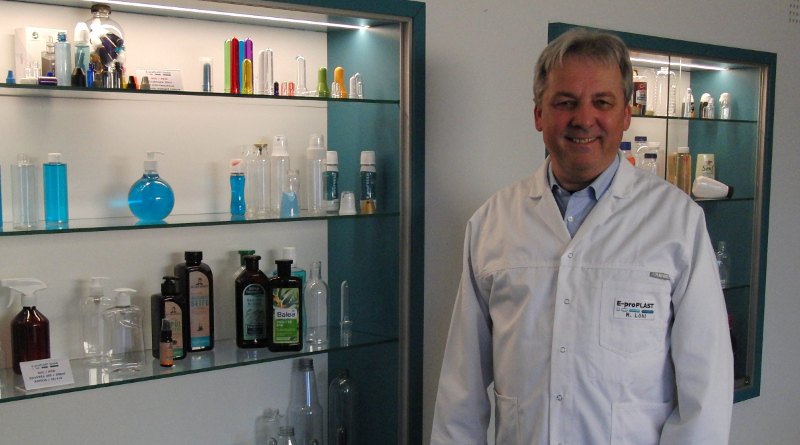 An interview with Rüdiger Löhl, Managing Director of E-proPlast, in which we discuss the increasing level of recyclate in PET bottles and why “100% rPET” is not sustainable. PETplanet: Your company specialises in the design and manufacture of PET bottles for the beverages and HBC industries. To what extent has customer demand for new PET/rPET material shifted in recent years? Löhl: We have been manufacturing PET bottles which contain a proportion or as much as 100% rPET for many years. However, the number of orders has gone up dramatically in the last two years, nearly two-thirds of which are relate to the use of rPET. PETplanet: Does your customer markets (beverages/HBC) differ in this respect in terms of demand for a certain proportion of rPET/bottle? Löhl: We are not often involved in the classic beverage industry market (i.e. water, soft drinks etc.). We make a distinction between food and cleaning/cosmetic products. We produce PET juice bottles for cold and hot filling for the food sector, although demand for rPET in this area is still low. We also provide bottles for honey and sauces. Here, we are already using rPET on a large scale, with content ratios ranging from between 30% and 50%. With the advent of the Frosch brand from Werner & Mertz GmbH, demand for bottles with rPET is greatest for cleaning and care products. We produce a variety of products that comprise a proportion or up to 100% rPET. We are also seeing an increase in bottles for cosmetics products. Of course, customers always want the maximum percentage of rPET in their bottles. We discuss this in great detail with our clients in advance and highlight the various issues involved in the use of rPET. PETplanet: What are these issues that have to be borne in mind when using rPET? And which material mix of virgin/recycled material makes the most sense in your view, not only in terms of sustainability but also for processing technology and quality? Löhl: First of all, I should mention variations in colour. Due to the various input qualities in the recycling stream, PET regranulate has a different colouring. 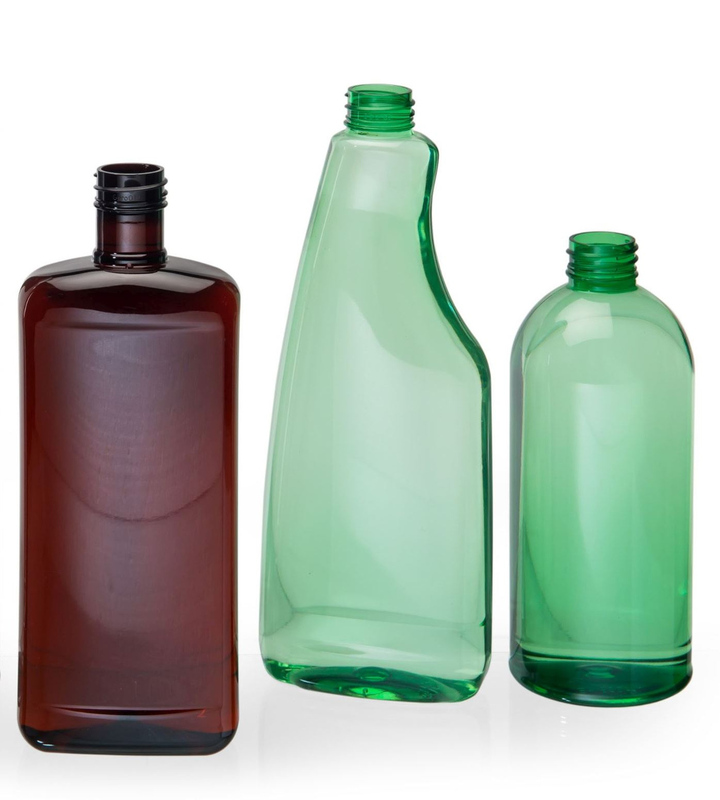 The natural colour of clear bottles can vary between grey, blue and greenish-yellow, depending on the input quality of the recyclate. The more recyclate is added, the darker the bottles become. Secondly, there may be visible black dots in the material as not all foreign particles can be completely filtered out during production of the PET regranulate. The third point relates to mechanical properties and wall thickness distribution. 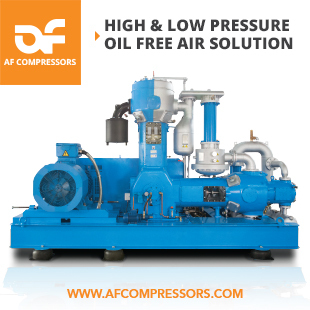 Due to the fact that the regranulate has already passed through the production process once or several times the mechanical property does change. 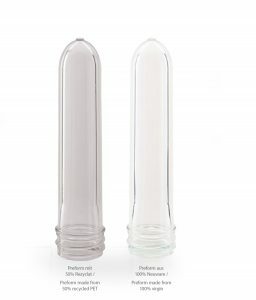 The bottles may have a reduced top load compared to new material. There is also the danger that sink marks may appear caused by different shrinkage properties. In addition, these properties can also fluctuate within a production batch of regranulate. This in turn affects the process settings and can lead to a degradation in wall thickness distribution. As regards processing and cost-effectiveness, it should be said that when recycled material is used, it is fed separately through the production process. As with virgin material, the regranulate is dried and handled separately. This results in longer set-up times, higher energy consumption and more reject material. Last but not least comes quality and availability. We mainly use food-grade material as recyclate. Customers also demand this quality in cosmetic products. This is top quality recyclate but is more expensive than virgin material. Non-food recyclate is also used for chemical and industrial bottle products. The quality is not as good which leads to increased difficulties in production. 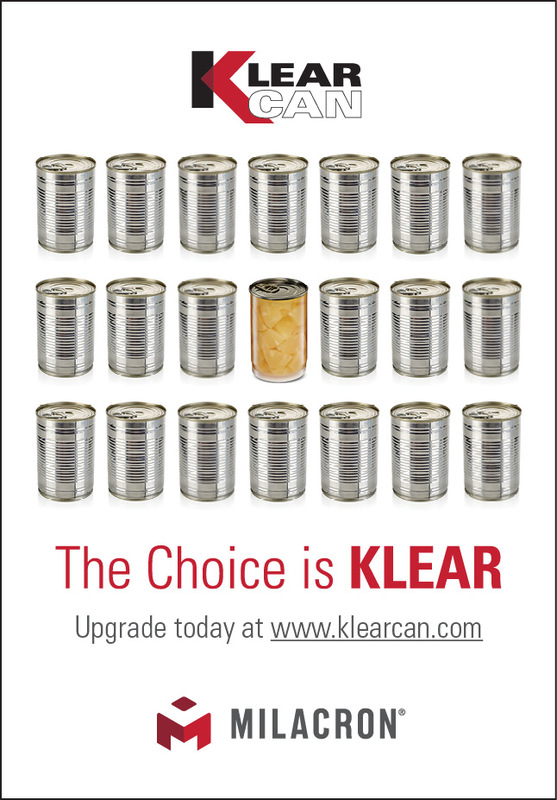 Current very high demand and limited recyclate capacity could result in supply bottlenecks in the market. From a technical perspective, PET bottles can be produced using 100% rPET but for mentioned reasons we recommend 50% virgin and 50% recycled material. PETplanet: More and more bottles made from 100% rPET are now appearing on the drinks market, reflecting the tone of current debate on the issue of sustainability. Does 100% recycled material mean that it could not be more sustainable? Löhl: PET beverage bottles made from 100% recycled material are only used for niche products. Currently, an average of around 26% of rPET is used for bevarage drinks bottles in Germany. No industrial recycling process also with non-plastic materials exists in which 100% of an old material can always be converted into 100% of a “new” product. There are always process-related losses. This occurs as a result of sorting, grinding and associated dust generation, as well as start-up waste created during the production of regranulate etc. Waste generated during this process is used in Germany for thermal recycling. It can be assumed that a ratio between 5%-10% of the original material is lost due to the recycling process. In addition, the quality of the material is getting worse due to the permanent recycling. If only 100% recycled material would always beeing used for all “new” products, no material would be available within a short period of time anymore! This means that the use of 100% rPET is not sustainable. The desire to use as much as 100% recycled material is essentially driven by marketing. Everyone would like to write 100% rPET on the label to suggest a sustainable product to the end consumer. Although this reflects the spirit of the times, it is not technically feasible in the long-term. As with any other material, for plastics it is vital that new material is added into the process; otherwise it will not function indefinitely. PETplanet: Are you able to comment on current availability of recycled PET? Löhl: As demand increases so availability becomes more critical and rPET prices rise. The quality also suffers rather than improve. PETplanet: What in your view can be done to improve the current market situation? Löhl: We can only assess the market from the point of view of a bottle manufacturer. A study conducted by GVM (Gesellschaft für Verpackungsmarktforschung mbh) in 2018 showed that around two-thirds of the PET recyclate produced is used in the production of foil and fibres, while only one-third goes back to bottle to bottle production. However, foil and fibres hardly provide any input to the recycling stream! 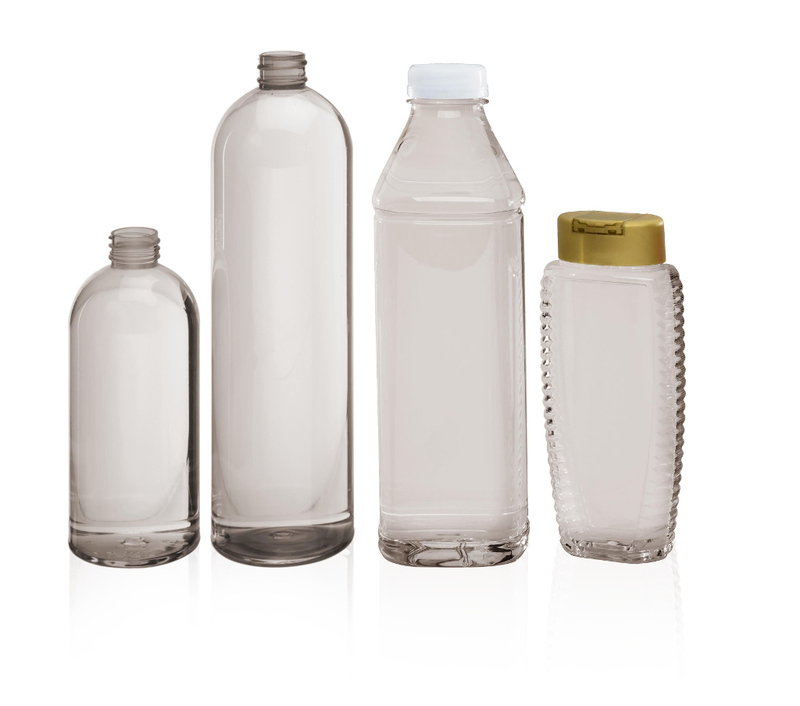 Good quality rPET currently comes almost exclusively from bevarage bottles. Here, the German bottle deposit system plays an important role. However the recycling stream of dual systems (yellow bag) has still a considerable shortfall in demand, for PET at least. PETplanet: Which means that the post-consumer PET bottles which are not being recycled in open or closed loop systems will be transferred to thermal recycling. Löhl: However, the question must be asked as to what is actually so bad about thermal recycling? Around 87% of crude oil is directly converted into thermal energy (vehicles, aircraft, heating, power plants etc.) in Europe. Approximately eight percent is used for other purposes (building work, road construction etc.). Only around five percent is used in the production of all plastics, of which 40% is used for packaging. That means that only two percent of crude oil goes into the production of all types of packaging (foil, bottles etc.). No-one has yet been able to convince me why it is not sustainable to first manufacture products such as plastic packaging from crude oil, then protect their contents with packaging, bring the content with the packaging safely to the consumer before thermally recycling it . Here in Germany, residual waste is used in waste incineration plants. Gas and crude oil are frequently used as additional flammable agents to ensure the material actually burns. It would be much more sustainable to use a product such as old plastic for incineration purposes and generate energy before direct burning oil at these facilities. The talk of the so-called “plastic flood” or “mountains of plastic” is hard to bear. These do not exist at all! With the drink deposit for beverage bottles and the installed deposit machines (approximately 99% of which are returned to be processed again into recyclate) and yellow bag systems for packaging waste, Germany has the most efficient and best collection/utilisation regime anywhere in the world. It may well be time to reduce the discussion about the use and recycling of plastic packaging from the current emotional and populist level to a more factual and evidence-based approach. However, given the diverse interests of politics, so-called environmental organisations, the media, consumers and industry, this is likely to be difficult. PETplanet: Thank you very much! E-ProPlast is a medium-sized company based in Schmalkalden, Germany. It has been producing standard and individual customer PET bottles for start-up businesses and well-known manufacturers in the food, chemical and cosmetic industries since 2002. Many bottles are manufactured for niche products. It hardly ever produces classic bevarage bottles such as those used for CSD, mineral water and soft drinks. The company supports its customers from the initial design development stage through the mould making process till the production of preforms and bottles. The size of PET bottles produced today range from between 10-1,500 ml. Production takes place on two -stage stretch-blow moulding lines. The required preforms are manly made at the company’s own production facilities.